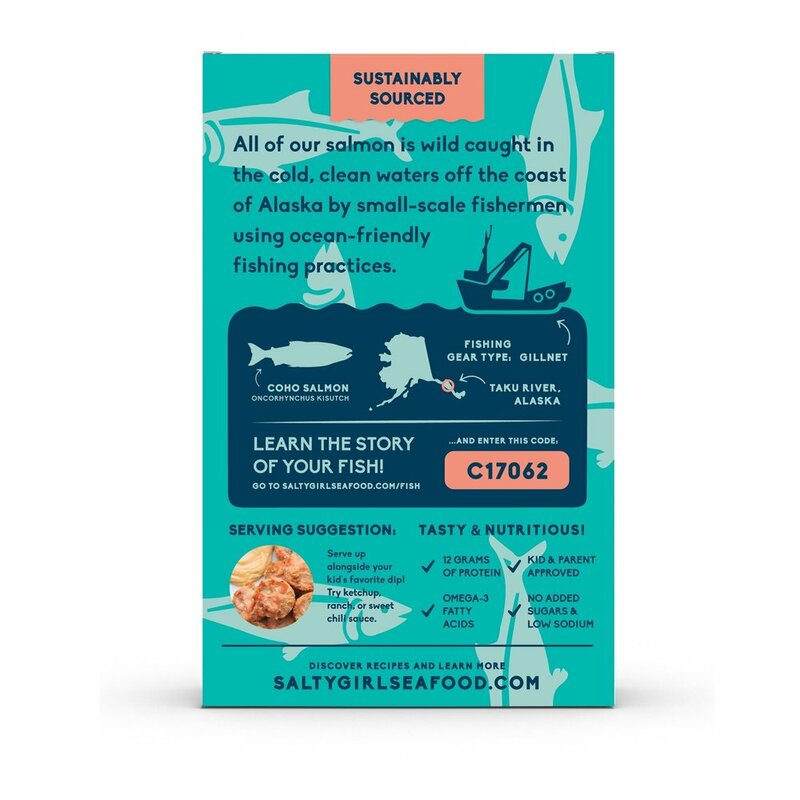 Salmon Bites with Broccoli + Sweet Potato — Salty Girl Seafood, Inc. Finally! 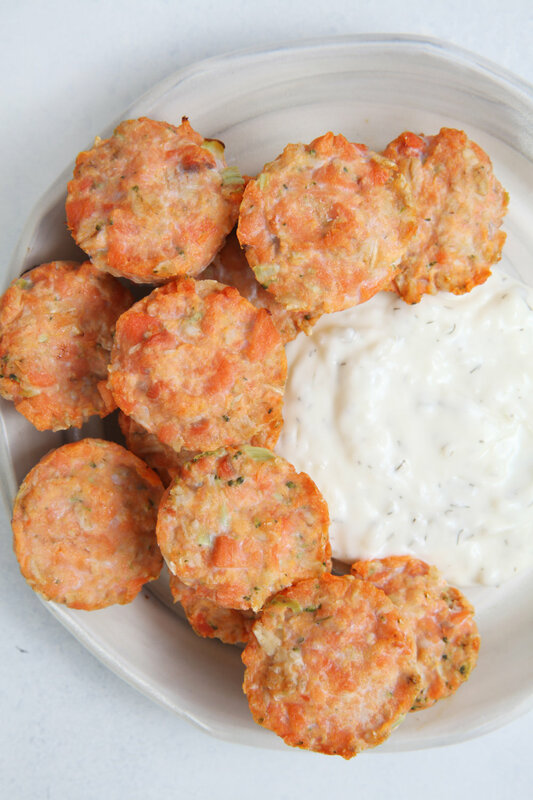 Bite-sized finger foods packed with omega 3s, healthy protein, and hidden veggies. 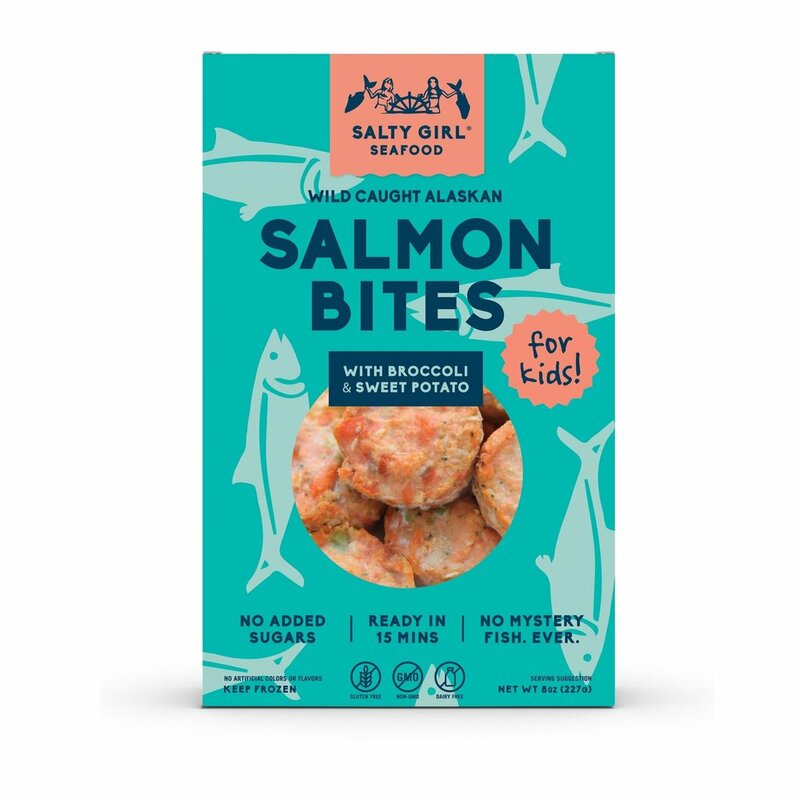 Not breaded or fried, these tasty, wild salmon bites get seafood in kids bellies without a fight. Gluten free and dairy free, non-GMO, with no added sugar, these are just the thing for moms in search of healthy, easy to prepare protein for their kiddos. Don't just take our word for it... here is what the experts are saying! 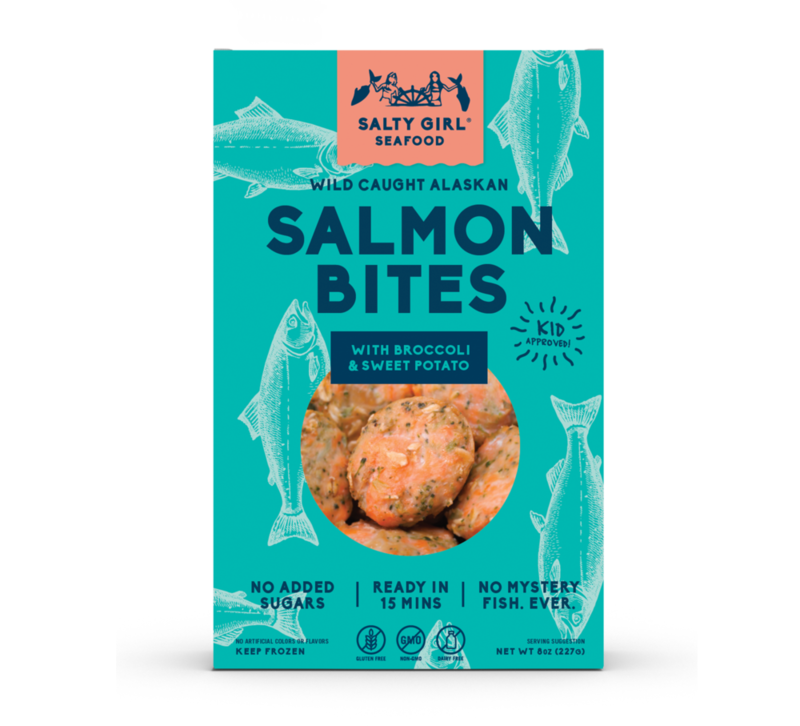 Ingredients: Wild Alaskan Salmon, Thick Rolled Oats, Broccoli, Egg, Sweet Potato Puree, Apple Puree Concentrate, Oat Flour, Olive Oil, Sea Salt, Granulated Garlic.